Please do not purchase unless you are Amy! 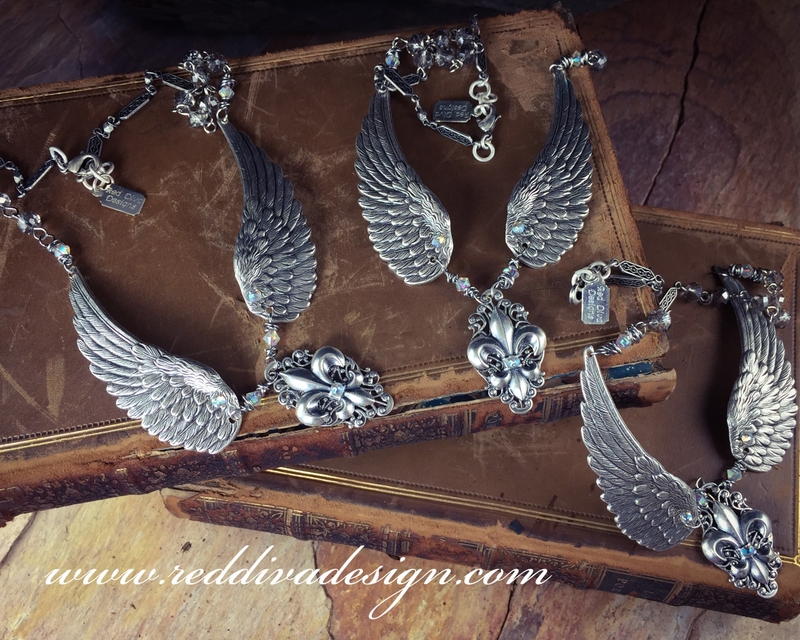 As per requested, 3 Silver large Wing Regal Ice Necklaces at $50.00 ea. Meant to let you know that the package arrived safely last week. Thanks for wrapping them each so beautifully for the girls! Very sweet of you. I’ll work on getting them delivered and am trying to do so when I can actually see them so I can snap a picture for you. I will let you know how all turns out. Thank you again for this fun opportunity to reconnect and I look forward to shopping with you again and hopefully running into you at a fest again.